Werner's Cairns blog: Are we caught between a rock and a hard place? Do you trust politicians? This is a pertinent question and I’ll let my readers answer it. Below is a letter to the editor published in “The Weekend Post” (Cairns Newspaper) 27.3.010, and written by my wife, Karola. However, let me tell you something first about her health problems and then perhaps you would understand why she wrote that letter and why she is so vehemently against being forced to drink fluoridated water. Karola’s marrowbone stopped producing new blood - an affliction called: “Refractory Anemia with Ringed Sideroblasts” which requires blood transfusions every three to four weeks. To read more about her health problem click here. Blood transfusions accumulate iron in her body that cannot be expelled by her body and consequently it has to be done manually by taking a chemical daily that gives her a lot of side effects, too numerous to mention, plus is a big strain on her kidneys and reducing her kidney function to only 20% . She is required to drink a lot of water and fluoridated water is something she shouldn’t drink. What right has Anna Bligh, Paul Langbroek or their respective parties to make my wife suffer more by ingesting Sodium silicofluoride used in the Cairns water? Sodium Silicofluoride, a waste product from the aluminium and fertiliser industry, is an S6 poison. Products in this category have a greater potential for causing harm to humans. There was absolutely no good reason to add this poison to our drinking water, since there is calcium fluoride (The good fluoride) in most of our underground water, which is taken up by the vegetables or fruits we consume. A cup of tea for instance has four mg of fluoride. Langbroek also stated that fluoride is good for the young. That may be the case, if they would drink water, but they don’t. They drink Coke and coloured soft drinks, etc - anything but water. I see it every day with the young waiting for the school bus, walking in the street or shopping centres. I bet Langbroek has never made this observation. He and Bligh are just dogmatic in their erroneous belief that putting this stuff into our water will reduce or eliminate tooth decay. The only way fluoride will be effective is by topical application. Click on picture to enlarge. But let me ask Langbroek this: If it is in the water because of the young (His words) why does the rest of the population have to be mass medicated? I’m talking about people, who have good teeth by using a good diet and brushing them regularly and what about the many people that have dentures do they need fluoride so they won’t get tooth decay? Has this man ever looked at the dismal record of Tasmania and NSW that have been fluoridated for decades, yet have a huge tooth decay problem and not enough dentists. Langbroek, like Bligh, is myopic and suffers from tunnel vision. We will have to put in an all out effort at the next election to change the political landscape in Queensland and bring it back from a totalitarian dictatorship to democratic principles, where people are consulted before legislation is foisted onto them. This is vitally important especially since we have no upper house (Senate) in Queensland. We will educate many more people about this folly that most countries in the world have rejected, before the next election. It will then be interesting to see who the voters detest more - Bligh or Langbroek. The choice they would have to make is whether they want to get out of the frying pan and get into the fire. LNP goes back on fluoride promise. QUEENSLAND Opposition Leader John-Paul Langbroek let the cat out of the bag on John Mackenzie's radio talkback program. On March 18, he said fluoridated water would stay if the LNP becomes the government and he is premier. This repudiates the promise Lawrence Springborg made to Wendy Richardson that the party would give people a choice in a referendum. This is also, according to Wendy, recorded in Hansard. This shows you cannot trust politicians. This statement will make a lot of LNP members and LNP supporters who are against fluoride very unhappy, especially as many like me suffer from health problems by ingesting fluoride. I believe the Family First Party will come out on an anti-fluoride platform at the next election, and hopefully the North Queensland Party and independents will also follow suit. We cannot afford to give Mr Langbroek an absolute majority in Parliament should the LNP win government, otherwise we will be getting rid of one dictatorship only to install another one. - Karola Schmidlin, Yorkeys Knob. 2. The rating of the second option, Sodium Silicofluoride, jumps to S6. Products in this category have a greater potential for causing harm to humans. 3. The third option, Hydroflurosilicic Acid is S7. This is the category for the most dangerous poisons. The only higher category, S8, covers illegal poisons. No toxicology studies have ever been performed on silicofluorides used in water fluoridation schemes. The only toxicology studies ever done are on pharmaceutical grade S2 Sodium Fluoride, as used in toothpaste. Click here to read about Fluorosilicate Toxicity. A senior citizen's experience with water fluoridation". Doesn't time fly when you're a "senior citizen" - That's the polite way of saying I'm getting old, however I do like the way my good friend Doug puts it.....He says...."I may have lost a few marbles, but I still have enough to play a good game!! Well, I've been kept very busy lately, helping many people who have been affected by the introduction of fluoride into their water supply. My dear friend Anne had continuing dysentery when the fluoride went into her water and it was not rectified until she started to drink bottled water. She called it irritable bowel syndrome. Also my old mate Arthur, now has arthritis in his hands and he now has back pains and he's been pretty fit all of his life. On top of this, another friend has been getting blotchy and flaky skin from showering in fluoridated water. The "powers that be" don't want us to believe that fluoride can affect the human body in many ways, but I think I now know why we have been inflicted with water fluoridation. FLUORIDE is good business for the "ill-health" industry. More people have to visit doctors and pharmacies and this increases profits for the big pharmaceutical companies. As an example, there are twice the number of asthmatics in fluoridated communities. Just think of the extra "inhalers" purchased. Me thinks that the name of their game is to make people sick, then keep them on medication for the rest of their lives. "Somebody's making a killing by keeping people alive". "If they found a cure, only the patient would benefit", a USA oncologist has been quoted, talking about the "cancer industry". PS. Many new supporters would not have seen my newsy-letters before, so I welcome them to the Anti-fluoridation campaign. I have a friend whose two adult children are living in Cairns. 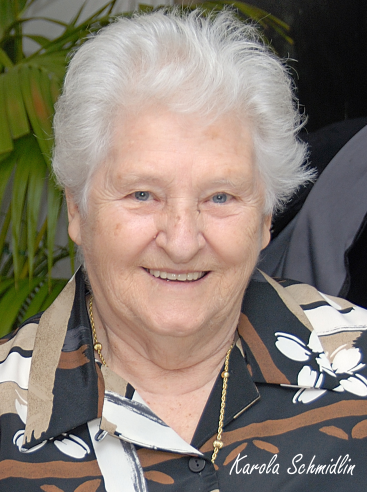 One suffered in her early teens from severe adolescent arthritis. She is 25. She lived in Cairns for several years without problems, lived in Japan and Korea for 3 years with no problems, and since arriving here in January this year she has become almost crippled. I got her started on bottled water and she is a lot better after 3 weeks. Her brother, aged 28, has been living in Mt Isa, and has recently moved back to Cairns. He was complaining of gastric upsets and skin and breathing problems. His sister told him his face was swollen and he should drink bottled fluoride free water. He ridiculed the idea but did it anyway and now he is investigating getting his shower set up for rainwater. Again a dramatic turn around. Challenges are what make life interesting; overcoming them is what makes life meaningful. - Joshua J. Marine. As a previously loyal LNP foot soldier Werner, you now sound disillusioned. Even so, I doubt this post will result in your excommunication. Reason? You are irrelevant (with respect). No ordinary individual citizen is important enough to be of concern (to either party) - even vocal ones with a blog. Every significant piece of legislation is thoroughly tested and poll driven, and both parties know that on the issue of fluoride, there is either (a) majority support, or (b) apathy - those that don't know/don't care. I think Werner, that deep in your psyche, you are really a Green. Greens are people who encourage sustainability - and water tanks. Explore this. In answer to your question, “Can we trust politicians?” Generally NO, but there are exceptions and that would go to the independents and not to the one that are under the thumb of a party. My family, long time conservative voters will not vote again for the LNP at the next state election until they revoke the fluoride legislation. We will look for good independent candidates, whom we can trust and who are against fluoridated water. Who has ever thought in their wildest dreams that we would have a totalitarian government in our state? If the LNP wins the next election with a big majority, nothing would change; we just must not let this happen. Werner, I totally agree with your sentiments and your wife’s letter to the editor. I’m totally disenchanted with our political system in Queensland. We are definitely between a rock and a hard place. Hopefully more people wake up to the fact that the voters are taken as fools and only listened to three weeks prior to an election, but what they hear is going in one ear and out the other. Keep up the good work, you have a very interesting and informative blog; I have sent your blog address to all my e-mail contacts. Langbroek lives in his small world of dentistry, he never has learnt anything about toxicology and has no intention to step out of his little square. He has always been hell-bent on mass medication the population of Queensland, whether they like it or not. Langbroek was born in Holland and interestingly that country has banned fluoride in their water. Werner, I have absolutely no hope in Langbroek ever leaving behind his pro-fluoridation stance. He is the ex dentist that introduced the bill to the Queensland parliament in the first place. He is part of the agenda at a high level. Bad dude. We have “Family First” candidates running at the next election on Gold Coast. 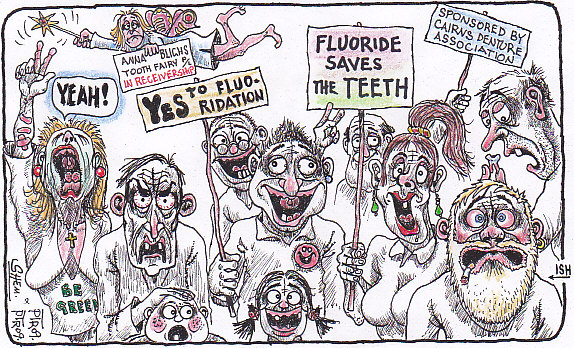 James Taylor is part of our anti-fluoridation group. He said they will oppose fluoridation. Look for the ones in your area and promote... call and ask them their views. Think very carefully before you go voting for Family First candidates Sandra Jones. Let the example of Senator Steve Fielding, a creationist fool of sub-intellect, be an example of what you can end up with. Fluoride in drinking water is only one important issue of many, and as much as it might concern you, there are options you can take to eliminate, or minimise the amount you personally consume. There was never any poll on fluoride nor did Bligh or the Labor party ever utter one word about it, they legislated mandatory water fluoridation without asking anybody whether they wanted it or not. Then they added a clause that would be exempt them from prosecution should anybody get sick from it, that show what cowards they are. Interestingly, Liberals, Langbroek and Quinn brought a private members Bill to parliament in 2005; it was soundly defeated with the Labor Party voting against it. Everybody was, and still is, baffled why Bligh made a somersault and foisted it on to the people of Queensland. Werner, I enjoyed reading your latest blog entry, “Are we caught between a rock and a hard place?” You presented the facts in a nutshell and they were my sentiments as well. To your question, “Can we trust politicians?” My MP, Liz Cunningham, I trust, most of the others I don’t and the former Liberals (now part of the LNP) and the Labor party belong in that group. Your wife’s letter showed clearly how they can go back on their word or promise without a second thought. Since we haven’t got an upper house in Queensland, we must inform and educate the electorate before the next election, about electing more Independent candidates for parliament, who hopefully, will hold the balance of power, otherwise we will become irrelevant again and they will do whatever they want without any consultation of the electorate. Have you ever “Googled” ‘The Brigalow Corporation?’ If not, you should, it is frightening what this government has done. Should the LNP win the next election, it would be by default – because of the Labor Party losing it and not because Langbroek leading the LNP. Dear A. Frogart, I didn't say WE polled on the issue, I said it was poll driven (ie; THEY polled) and the issue thoroughly tested. Do you know the difference? Nothing significant is introduced by any government without it being polled, tested in focus groups, etc. The Bligh government is hoping, as did Howard with his never-ever-GST, that by the time the next election is held, it will be a forgotten issue. With GST; it was. PS: And the word is 'ridiculous'. Tip: Keep a dictionary handy when you work. To: T. Asquith, you are irritatingly clever; obnoxiously self-assertive and impudent, in other words; a smart arse. Of course, I know how to spell ridiculous. I assume that you never made a typo or mistake - you smart Alec. Did I spell that right? Well said, A. Frogart. Couldn't have said it better myself. Werner, I live in Canada and have been following your very interesting blog for some time now and I’m especially interested what you have posted about water fluoridation. Your blog gives me also an insight into Australian politics. “If you look at my grand children’s teeth, they’ve got fluorosis (mottling of the teeth) from too much fluoride,” says Lambton Shores Mayor Gord Minielly. We are totally against water fluoridation; people shouldn’t be forced to ingest it. A good diet and brushing your teeth will prevent tooth decay. My wife our three children and I are proof of this, we have all excellent teeth yet we have never drank fluoridated water. 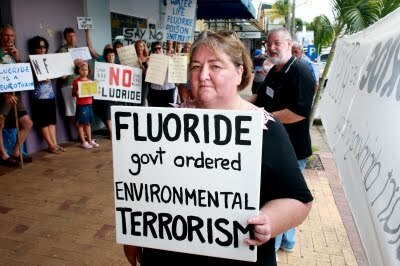 Before the last state election, I knew very little about fluoride, I must admit I was ignorant. But information from the Cairns anti fluoride group, their advertisements in the Cairns Sun, Letters to the editors in the Cairns Post and The Cairns Sun and last but not least Werner’s information packed blog was extremely helpful for my and my family’s edification on the subject – and made us think. We became more inquisitive and researched the subject on the Internet and we came to the conclusion that the insidious, costly mandatory water fluoridation did nothing to stop tooth decay, especially since the young hardly drink water, if any at all. All European countries won’t have a bar of it – they would be stupid, would they? We and our four children and their wives, all grown up in Cairns have healthy teeth, brushing the teeth and a good diet did the trick. But why on earth would anybody want to mass medicate the whole population? I just doesn’t make any sense at all. This is dictatorship stuff. The Labor Party never said a word they went about surreptitiously and legalised mandatory fluoridation of our water, some LNP candidates came out against it at shopping centres when campaigning, but very reluctantly and it gave people some hope, but the utterance of Langbroek on Cairns radio destroyed that hope. Within our family and our friend’s close circle we have over thirty votes, all of them anti fluoride now, but none of these votes will go to the mayor parties at the next election. This may not be many votes, but if everybody will do the same across Queensland it will make an impact. Like Werner said: “We must never allow the major political parties to have a huge majority and allow them to ride rough shot over us. Keep up the good work Werner, your blog is a credit to you. Get out of your apathy Queenslanders, we have to change the political landscape and bring back democratic principles. I have a new concern regarding fluoridation. China supplies our poison. In my experience,the quality of Chinese products is generally of lower quality. Our Councils only test the powder for fluoride content and rely on the chemical factories' batch analysis which only identifies fluoride content - anywhere from 19% to 59%. Who knows what the rest is? So fsr we have identified lead, mercury and aluminium. So long as it dissolves it doesn't matter. We are giving an external country direct and unimpeded access to our drinking water. Does anyone see a potential problem with this? your readers can add your own fluoride links - links which you feel can educate us about fluoride so that we can each make our own decisions.